A GT40 in Gulf Racing colors, on the track or in a museum, looks fantastic. There's no arguing that. Take it out of the those unique environments, however, and suddenly it's a bit garish. It certainly adds some visual interest to our increasingly boring looking parking lots, but not every wants all that attention. Still, if it looks good and suits the car, would you do it? Or would you rather have something more subdued, perhaps even sleeper-y? 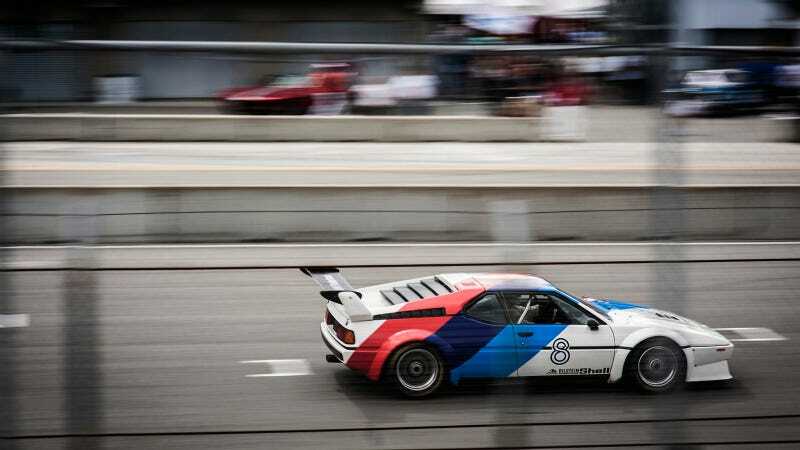 Do racing colors ever belong on street going vehicles? Discuss in the comments..